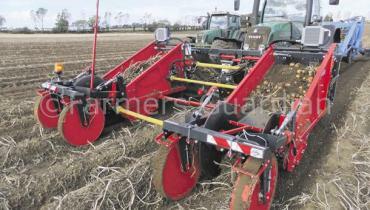 Harvesting 4-rows with a 2-row harvester? 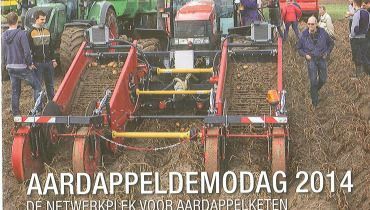 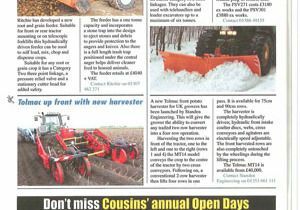 Yes, it’s possible with the new and innovative Tolmac front harvesting system! 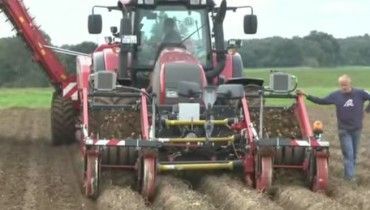 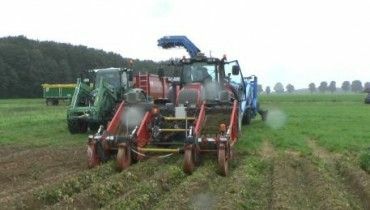 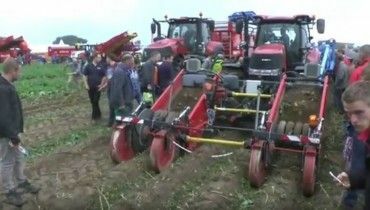 With years of experience the system has been well received at the European potato fields, where in all conditions the system has performed to satisfaction. 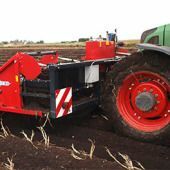 Tolmacs frontharvesters are available in different models and suitable for 30 – 36 inch rows (75 – 90 cm) rows. 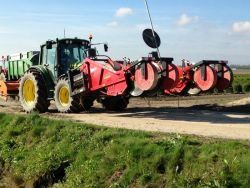 The frontharvesters are equipped with a so called “Diablo-free” intake, combined with large depth control wheels. 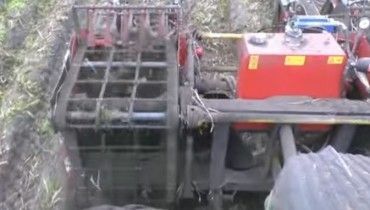 This means optimal use of the short sieving way of the web(s). 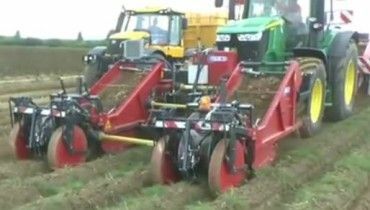 Hydraulic driven coulter discs ensure a gradual and trouble-free row intake. 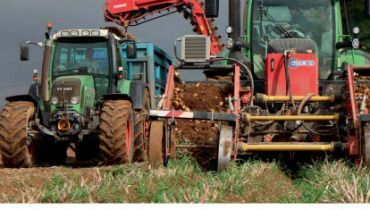 Increasing capacity Hefty capacity increase feasible. 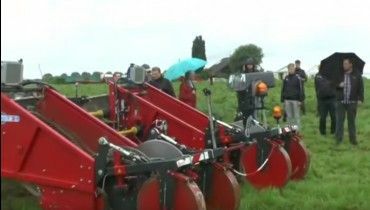 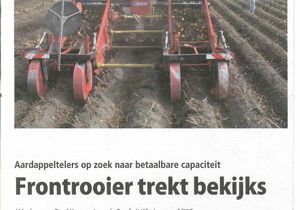 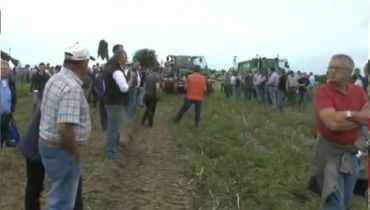 Relatively low investment against conventional 4-row harvesting systems. 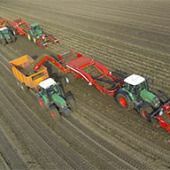 Reduce of weather risk Decreasing weather risk, making optimal use of available harvesting days. 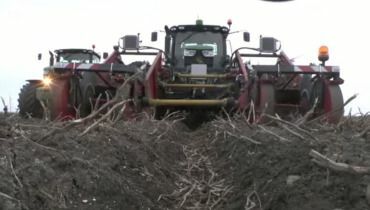 More striking power in the period that the conditions are (still) good. 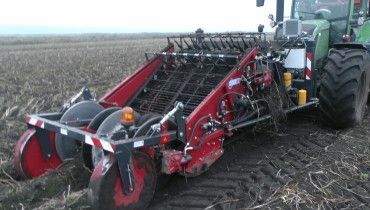 Saving soil Always harvesting with wide and low pressure tires. 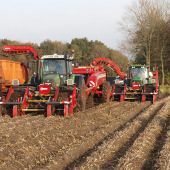 50% less wheeling and 50% less field tradic from both your harvester and trailer. 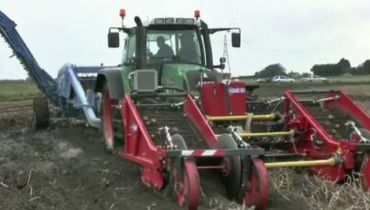 Low-cost solution Less use of your current harvester, less machine-wear and a longer life. 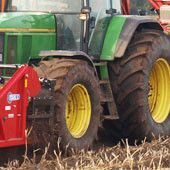 More efficient use of available tractors, less fuel consumption. 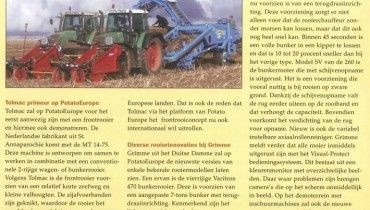 MT 14 – Demo PG Lee & Zn.